Once a upon a time, the Faeries of Bellaruesk planned a summer faery art festival in the deep hollow of the woods. To protect their celebration from Mother Nature, they asked the forest spiders to build a canopy over their meadow. The spiders worked through the night and weaved a beautiful fine web over the entire village. As the sun rose between the trees, the warm rays sparkled and danced upon the Morning Dew. 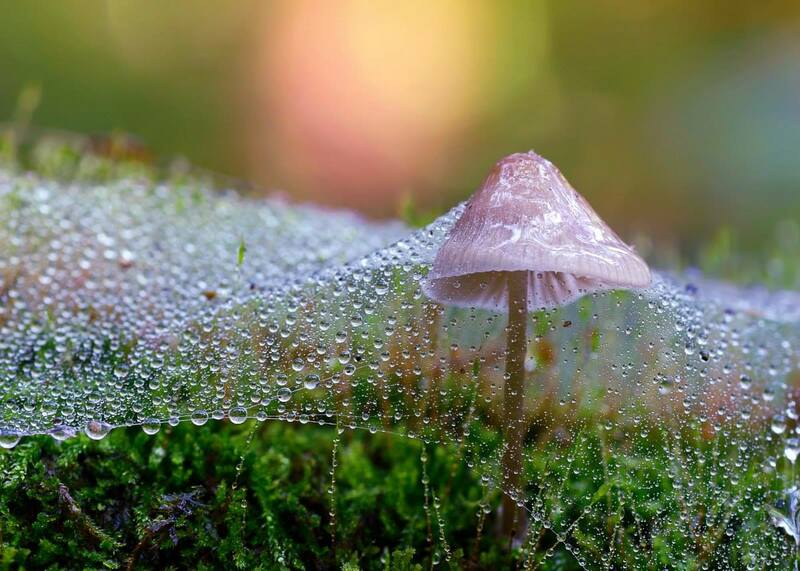 The tiny droplets transformed the early light of dawn into brilliant colorful beams beneath the woven web, turning the Faery land into lovely rainbows sent from above.